ThimphuTech.com: Where are the T & C? Where are the T & C? 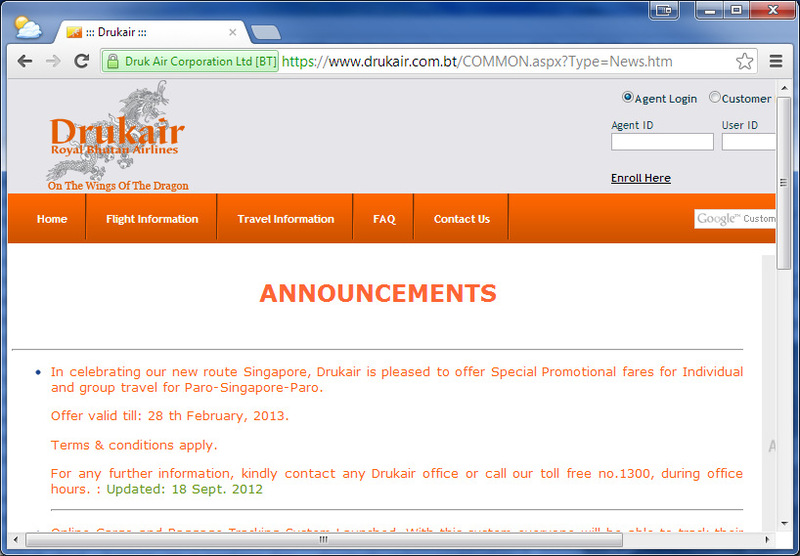 The DrukAir website is running an online campaign for the "Special Promotional fares" on its new PBH-SIN route. These special fares often comes with a long list of Terms and Conditions (T & C). There might be specific embargo (blackout) dates, minimum/maximum length of travel, requirement for a return ticket, ticket validity period, maximum number of sectors, specific classes, specific payment requirements, minimum/maximum of passengers, etc. 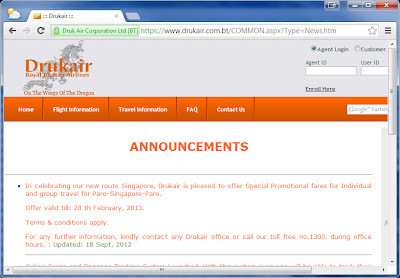 Unfortunately, the website doesn't list the T & C. To find out what they are, you will need to walk into the Druk Air office (or call).